Winners, winners! No chicken dinners, we have fabulous Bo Bunny product for these winners! Please put your hands on your keyboard and send a congratulations to our a winners! Still lots to come! Don't be discouraged if you haven't won! Just keep coming back! I promise it will be worth your time! Congratulations to our winners! You will be contacted soon! 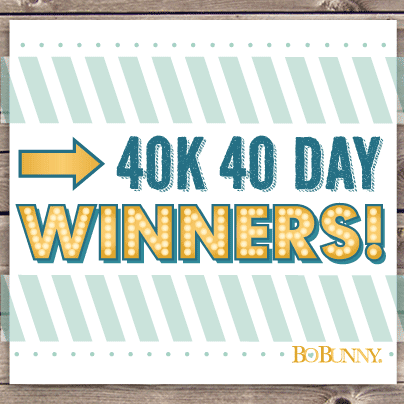 Thanks for playing along and supporting BoBunny in our 40K 40Day efforts! 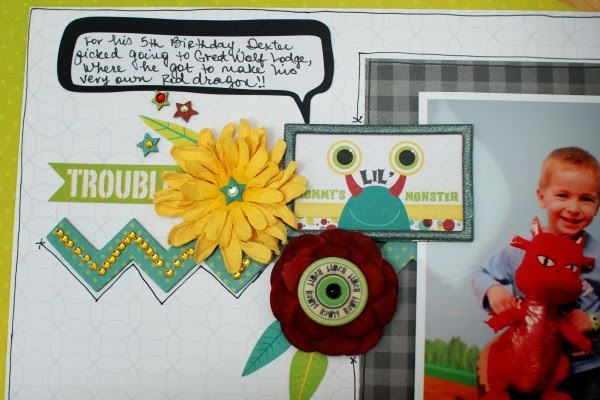 Yep, still scrapping like crazy with this this colorful collection! 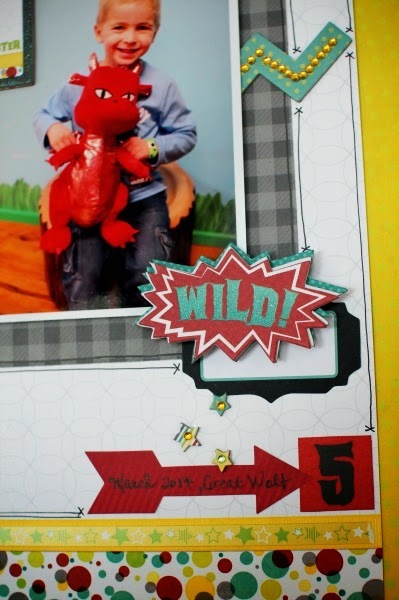 I just low how perfect it is for a little boy, and it fit this pic of my son with his new red dragon so well. I can't get enough of the "All-Star" sheet - I use it to cut out the letters, and here, I used it for the number "5" on the bottom right. So useful. I did some doodling to emphasize some of the elements and edges, and traced around the monster on the bottom left so it wouldn't fade too much into the background. I also used a bunch of foam adhesive to pop up some of the elements, and even the photo itself, so the chipboard chevron line could fit well under it. In the image below, do you see the really pretty colorful "leaves" I added to the flowers? They're actually cut out from the "Our Lil' Monster" sheet - they're the trees, and I cut them in a leaf shape, making sure the "veins" faced in the right direction. 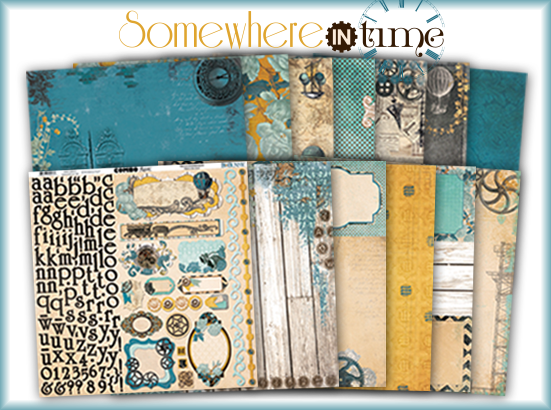 That's another thing I love about this collection - there are so many great images, so if you like layering or fussy cutting, then this is definitely for you! Its not often I create double layouts, but when I have multiple photos that I want to use, but don't want to detract from the design of the page, and still include journalling, then double layouts are the best way to go. Particularly if there is a story to tell - and there was this day! Neither of them would co-operate this day, look at that resigned look on their wee faces lol. The chipboard word I've used for my title has been painted with a light coat of gesso, stamped with a script stamp and then edged for definition with black ink. 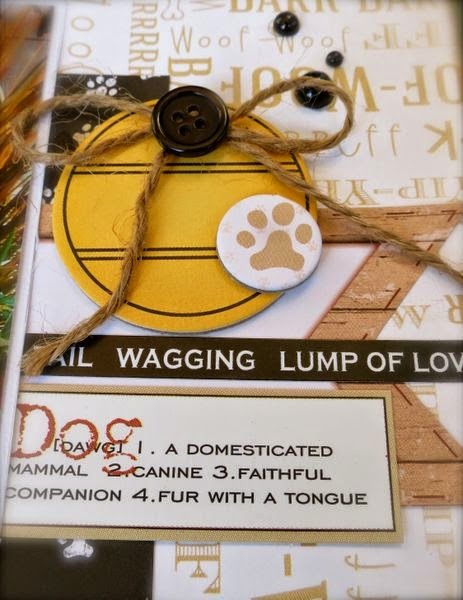 A mixture of chipboard embellishments, buttons and jewels, topped off with a piece of Noteworthy created a fun cluster in the corner. 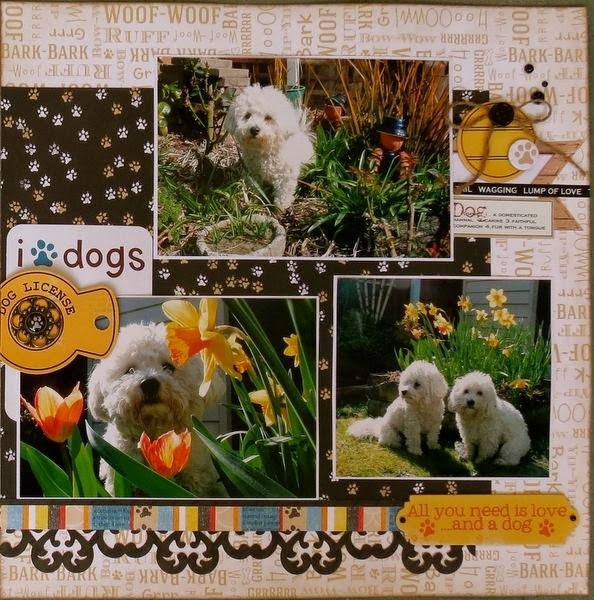 Layering chipboard embellishments also creates depth and adds interest to the page. 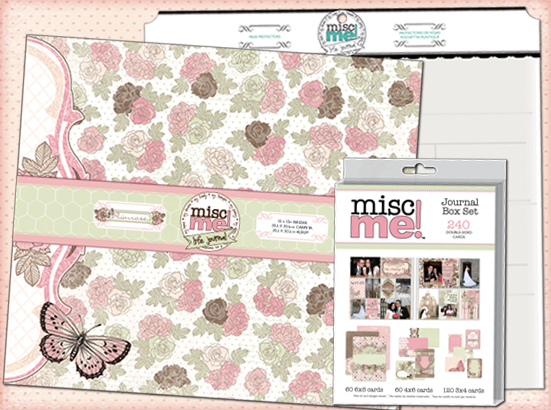 Designer Tip: Misc Me is also great not just for pocket style scrapbooking, Ive incorporated a piece of into my layout - can you spot it? 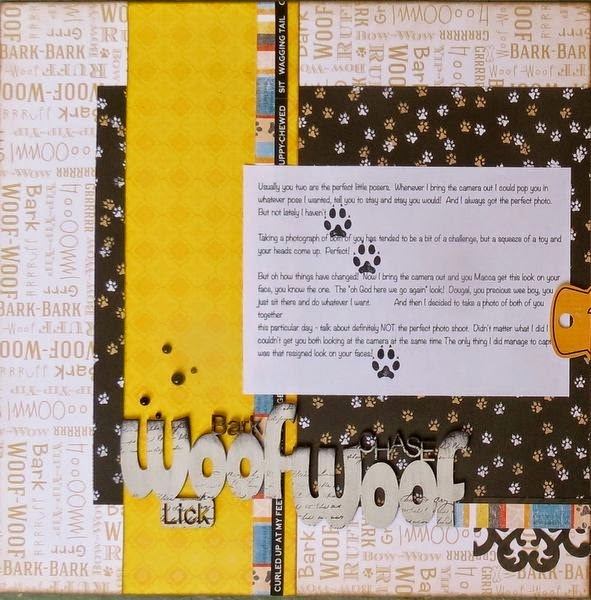 Labels: 2 page layouts, 40k 40 day winners, Happy Tails, ilene Tell, Layout, megan gourlay, Our Lil Monster, Rawr, Woof Woof! LOVE these two layout and loving the double page spread!! 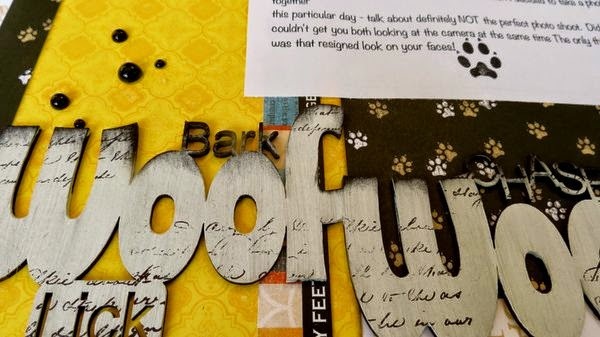 Congrats to all the winners (I'm jealous LOL) and I love this awesome doggie layout!! 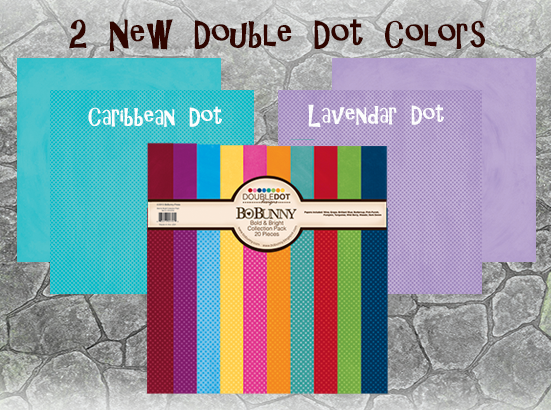 So cute....the layouts are great; I love all the colors, too!! Congrats to all the winners!! Congrats to all the winners. 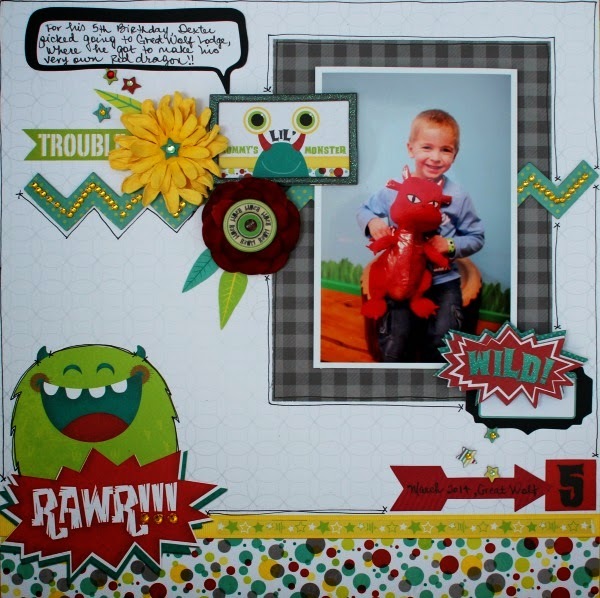 And what a great 2 page spread, Megan! Congrats to all the winners! Super cute LO!! Congrats to winners and love the layouts!!! Congratulations to all you winners! Great layouts, as always. Congratulations to the winners!! 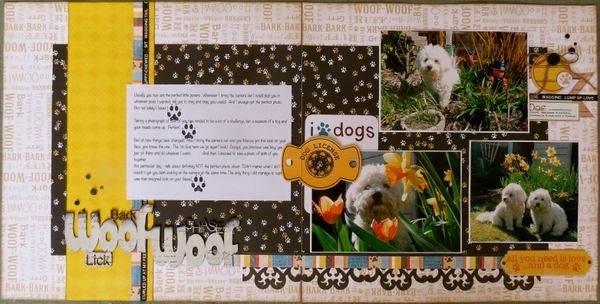 I LOVELOVELOVELOVELOVE the happy Tails collection and your layout is A M A Z I N G ! ! ! amazing layouts! 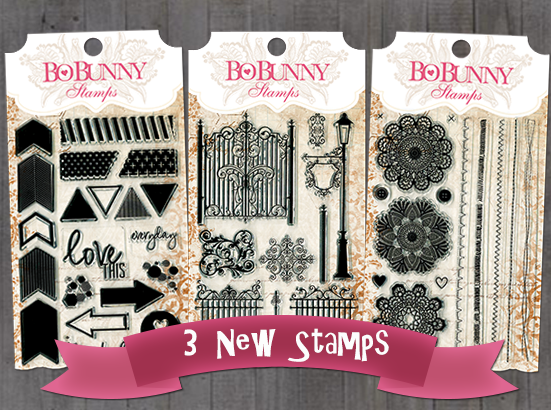 Love those stamps!!!! 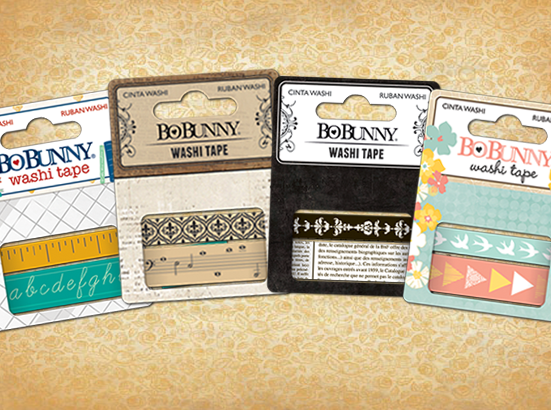 I would make cards with these stamps and papers. Thanks for the chance to win.